We make available here an article, “What Does ‘Inerrancy’ Mean?” by Arthur Carl Piepkorn (1907-1973), one of the more significant 20th-century Lutheran theologians in America. In this article Piepkorn usefully traces the genealogy of the term ‘inerrancy’ and its use by the Lutheran scholastics. He then presents an overview of the difficulties that the concept poses before finally moving to a theological consideration of it. The piece was originally published in Concordia Theological Monthly 36:8 (September 1965), pp. 577-593. Arthur Carl Piepkorn was a theological liberal and was on the wrong side in the LCMS “Battle for the Bible.” It is sad that he followed such a course. Pray that our clergy and professors today do not go down the aame slippery-slope of the 1970 liberals of the 1970s. Whose word, then, is every word of the Bible? Every word of the Bible is God’s word, and therefore the Bible is without error. Thy Word is truth. John 17:17. All Scripture is given by inspiration of God. 2 Tim. 3:16. The Scriptures cannot be broken. John 10:35. I have wondered whether one ought to respond to your comments at all (if one can even call them that). Your first post is an ad hominem accusation that makes no effort whatever to challenge Piepkorn’s position. Have you actually understood what he is trying to say? And, honestly, you don’t see a man who believes – believes so much, in fact, that his faith does not rest on its laurels or in mindlessly re-pristinated citations but relentlessly seeks understanding? Or have you actually not even bothered reading the essay because the name Piepkorn already told you what you should think of it? Judging by the quality of your comments, the latter is most likely the case. One may, of course, disagree with Piepkorn, but to be able to do that, one has, first, to be able to understand both what he is saying and why he is saying it. Charity comes before criticism and legitimate disagreement. Until you’ve mastered these elementary skills, which – to be honest – I require of my freshman students, there really is not much more to say. As to your second post, the fact that someone appended a question to Luther’s Small Catechism and then answered it rather one-sidedly impresses me not in the least. The Bible is not a book that fell out of the sky. That same question, “Whose word, then, is every word of the Bible?” ought, in fact, to be answered also: the human authors’ who wrote it. Unless we can hold these two aspects together – God’s Word which is also human word, without division or separation, yet at the same time without confusion or change – we will be only biblical Docetists. Perhaps well-intentioned but heretics nonetheless. Please refrain from commenting till you actually have something thoughtful to say. Piotr, thank you for your post. I appreciate you interest and willingness to debate the inerrancy of Holy Scripture. What I stated in my first post consisted of three things: 1) pasted information about Piepkorn from ELCA’s website; 2) direct citation’s from Piepkorn’s article that you posted; 3) citation from the Brief statement. I really don’t know how you term those an “ad hominem accusation.” As a historian, you of all folks should appreciate source information. In the post I mentioned that I certainly do pray that that our clergy and professors today do not go down the same slippery-slope of the 1970 liberals with regard to the attack on the inerrancy of Scripture, and I trust you pray that same prayer. I appreciate your consideration of me as approaching a freshman in your class — that is indeed a compliment You certainly have very impressive academic credentials, far surpassing my high school diploma. I respect your scholarship, and do not even assume in any way that I can approach your learning even on its outer fringes. I am concerned about your low opinion of “A Short Explanation of Dr. Martin Luther’s Small Catechism, Concordia, 1943.” Are we teaching our confirmands from the wrong book? What would you like to see substituted for it? What does “by inspiration of God” mean? We speak, not in the words which man’s wisdom teacheth, but which the Holy Ghost teacheth. 1 Cor. 2: 13. Would you agree with the above citation from the 1943 Catechism? Does it not impress you, or do you find fault with it; i.e. do you have a problem with the teaching of verbal inspiration? Can anyone anyone provide me with a well-cited, academic refutation of Piepkorn? Something that has constantly bothered me about certain elements of the “confessional” movement in the LCMS, is the throwing around of the term, “liberal.” I’ve explained this a few times to some of my classmates here at UA. Liberal “Christian” theology is a fairly definite thing. It has nothing to do with political views. One of the great theologians of the last century, Karl Barth, was an apt polemicists against this theological view, yet I’ve heard so many “confessionals” refer to him as a liberal. Anyone who believes in the most Holy Trinity and Christ as the only human incarnation of God cannot be called a theological liberal. In fact, Piepkorn’s argument is partly based on the fact that the word, inerrancy, NEVER appears in the Lutheran Confessions (as I seem to remember from reading this essay a few years ago). Part of the problem, it seems, is that what kind of “errors” are we speaking of? Many fundamentalist view inerrancy as also applying to scientific facts. This is rather problematic, considering that the books of the Holy scripture appear long before the advent of the scientific worldview. Therefore, reading this into their meaning would be well… erroneous. If God would have told the people of Israel, “In the beginning I created a microbe, and then its cells divided, and then genetic drift occurred for millions of years…,” the people would’ve been confused, and nothing truly would have been _revealed_ to them. Also, our modern concept of “history,” is far from the way in which the _art_ of history was practiced in the eras of the biblical writers. Applying 19th-21st century cultural understandings to the writings of the bible is the _error_ of both fundamentalism and theological liberalism. Paul Zahl is no liberal, yet he uses redaction (one of the most controversial methods) well, IMO, in his little systematic. 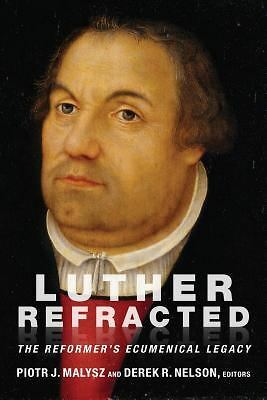 Luther too must be a liberal, since he was critical of the “canon” he had received. Bucky, one day at church you told me that the antilegomena distinction of the New Testament implied an improper attitude towards the scriptures. Walther defended a man who could not in good conscious call the book of Revelations the Word of God; I suppose he’s liberal as well. Gerhard Forde also writes convincingly against the “inerrancy hermaneutic,” claiming that it sets up a barrier between the reader and the scriptures themselves. I suppose he’s just a product of those slimy liberal 70′s too? If that’s all theological liberalism… then sign me up. That slippery slope of the 70′s sounds kind of nice. Can I borrow a sled from someone?